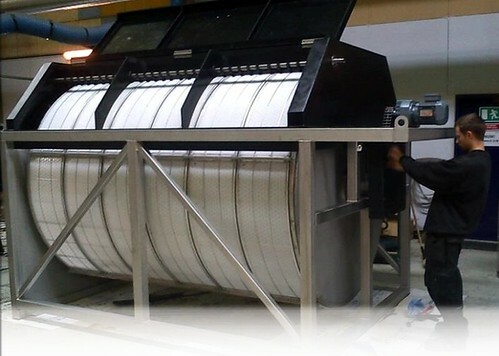 Please click on the images below to open the lightbox and navigate through them at your own speed. 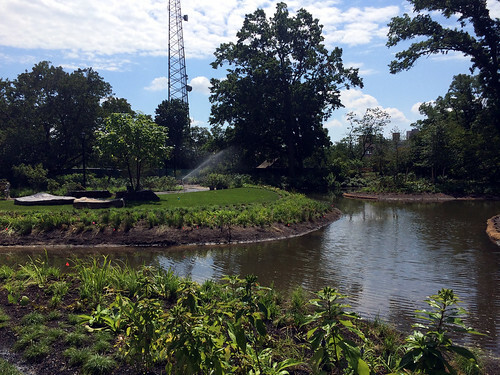 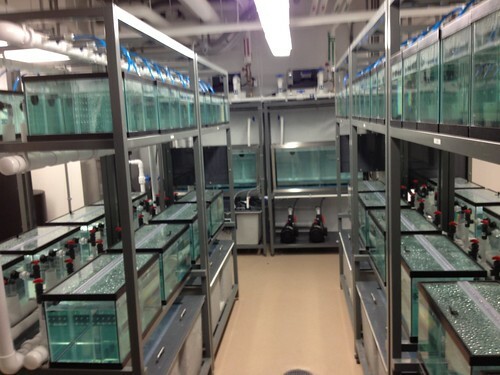 Integrated Aqua Systems, Inc., in collaboration with Advanced Aquaculture, recently completed a design-build-supply-commission project for the Brooklyn Botanic Gardens water conservation initiative. 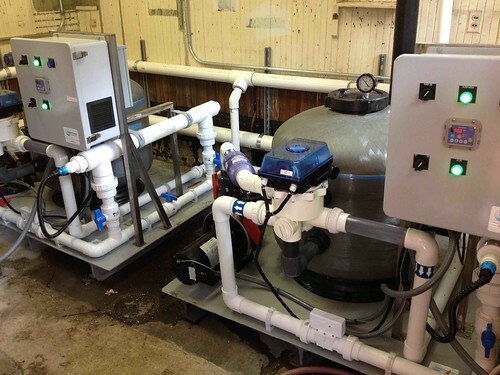 The Brooklyn Botanic Water Garden filtration project included an INTEGRATED™ Perma-bead, skid mounted filtration & UV disinfection system to keep recycled water clean and clear. 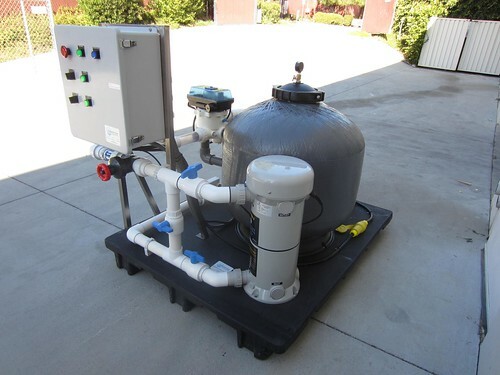 The system features a 440 GPM Perma-Bead filter with auto-backwash and water quality monitoring, creating a sustainable model for other urban gardens and ponds. 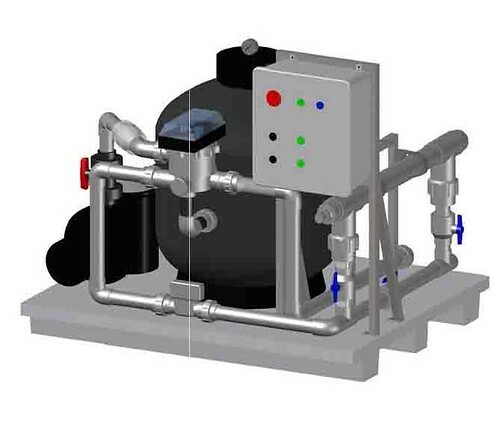 The ground breaking new model focuses on mitigating combined sewer overflow (keeping unwanted effluent out of local waterways), a rising concern for urban sustainability departments worldwide. 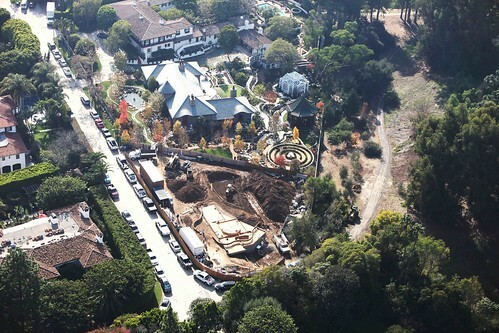 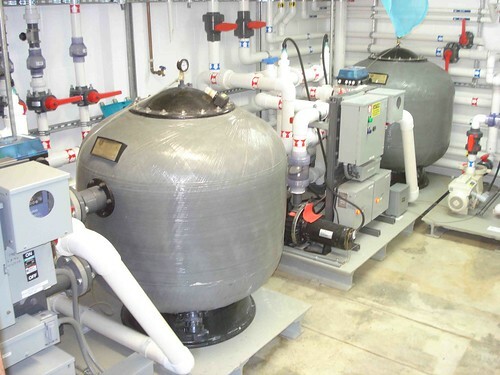 The systems infrastructure captures rainwater from the gardens 52-acre water shed and utilizes both biological and mechanical filtration through Perma-Bead media to improve water quality. 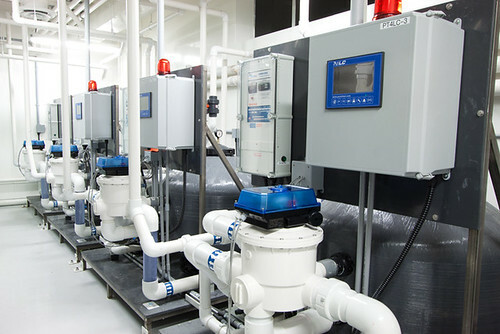 The system not only gives the Brooklyn Botanic Gardens a way to filter the water, but also reuse the water that is collected in the process; thus lowering BBG’s water consumption by almost 20 million gallons each year. 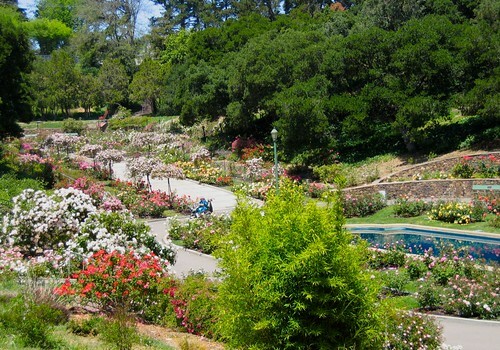 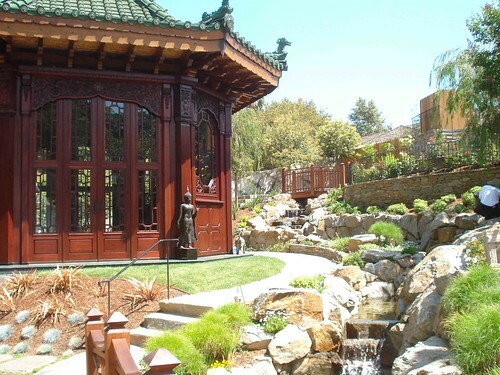 The Morcom Rose Garden is a rare, historic 7+ acre green oasis located in Oakland, CA Recently accredited by the American Rose Society, this public garden jewel is a 1930’s era formal rose garden surrounded by winding paths, graceful stairways, and dramatic water features. 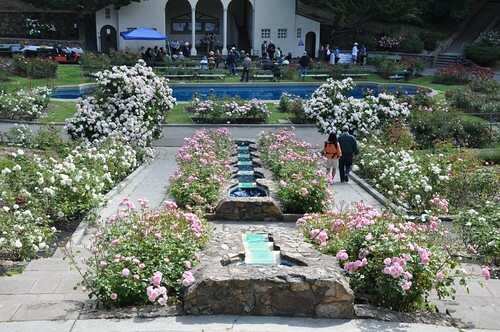 The Morcom Rose Garden recently welcomed the installation of a modern automated Integrated™ Filtration System from Integrated Aqua to keep their centerpiece water features clean and clear without having to drain and clean the lower pool and cascades. 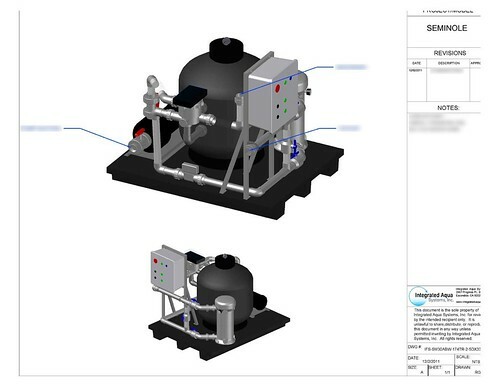 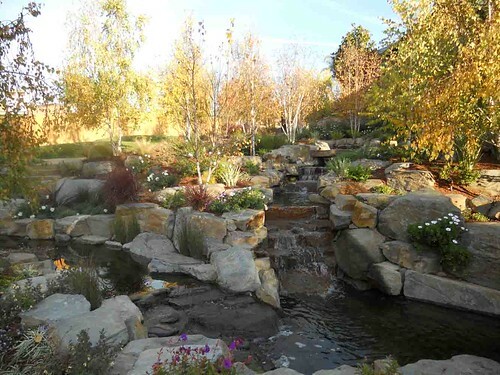 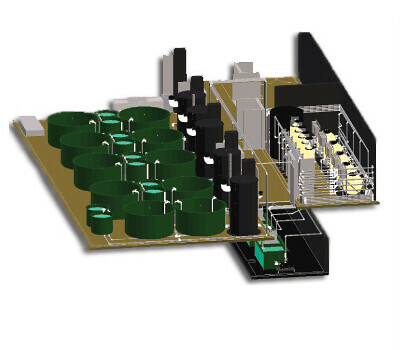 Integrated Aqua designed the systems in 3D CAD, and in collaboration with Advanced Aquaculture Systems, supplied and commissioned complete, modern, automated filtration systems to keep the ponds beautiful. 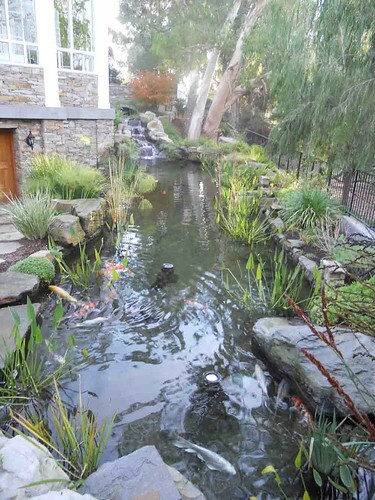 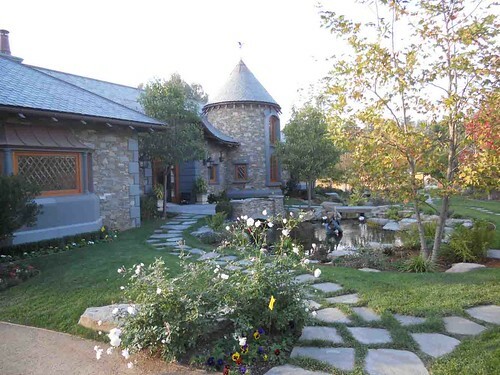 The end result is beautiful clean ponds that now save roughly 20,000 gallons of water per week and save on labor expenses as well. 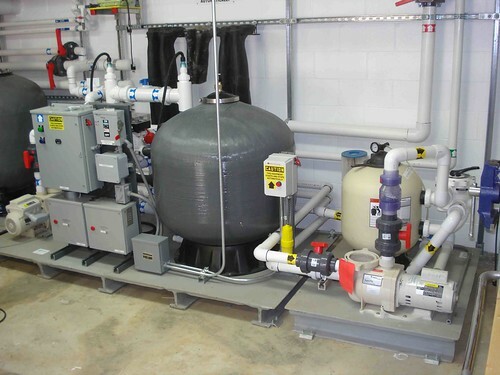 The skid-mounted Integrated™ Filtration Systems include automatic backwash, high-intensity UV sterilization, and energy efficient variable frequency drives for all pumps. 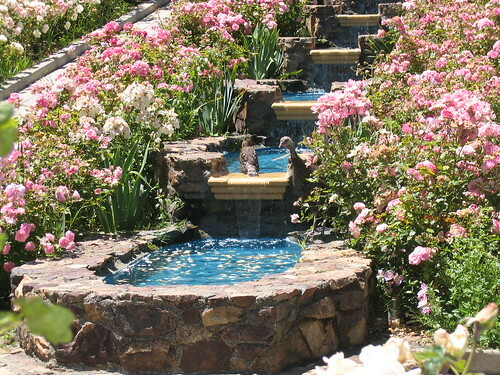 More information about the Rose Garden can be found at Friends of the Morcom Rose Garden. 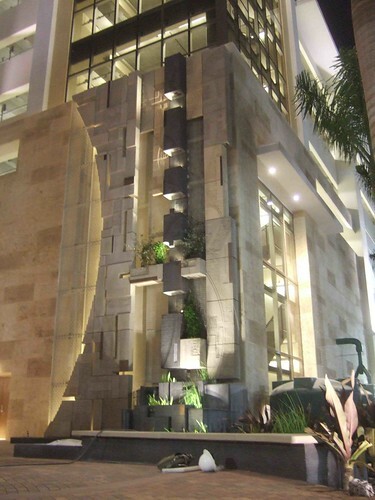 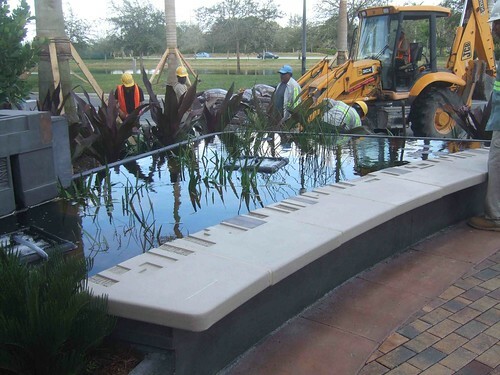 The Seminole Casino water feature is an artistic, sculptural biofilter that showcases the close interrelationship between environment, technology, art and urban life. 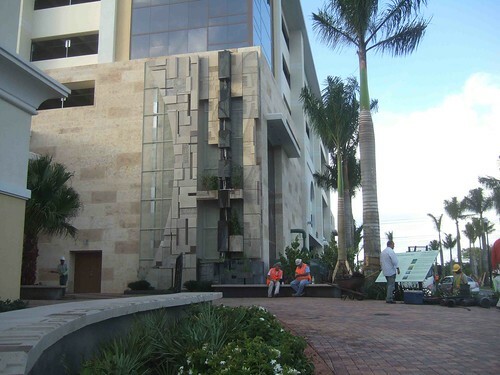 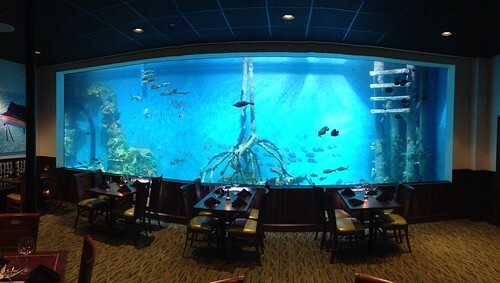 In collaboration with Advanced Aquaculture Systems, Integrated Aqua designed and built a highly customized filtration system to keep this exceptional water feature crystal clean and clear. 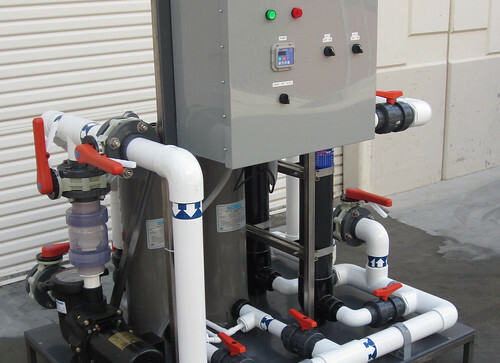 The Integrated™ Filtration System included automatic backwash controls, high-intensity UV sterilization and a centralized electrical control panel. 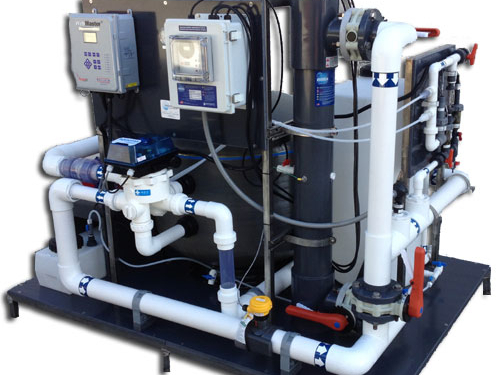 The system met strict safety and quality standards and was certified by CSA International. 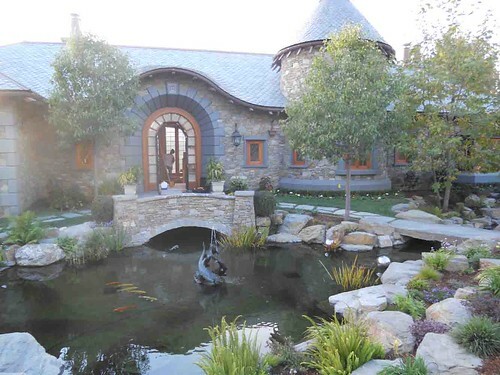 This luxury residence located in Beverly Hills, CA showcases world class koi ponds and water features throughout the sprawling estate. 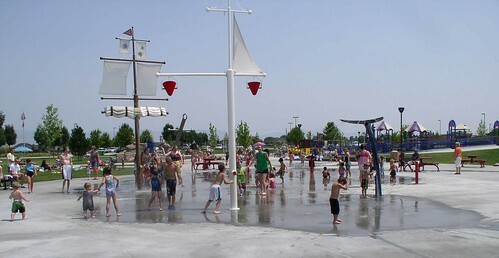 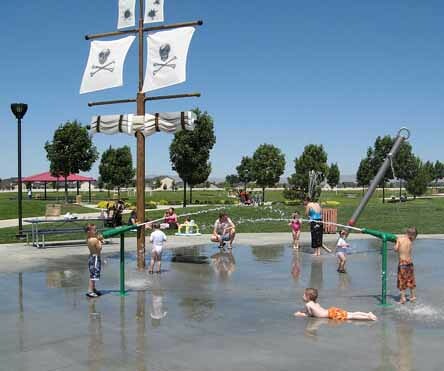 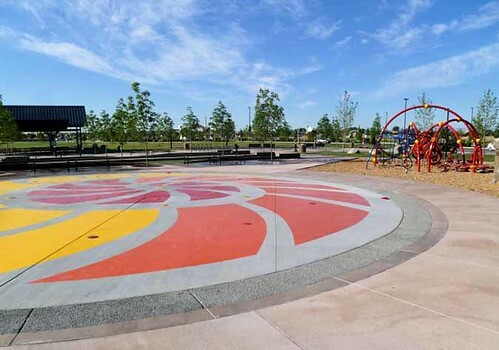 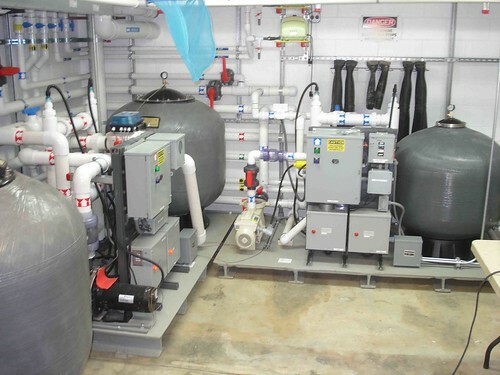 Integrated Aqua Systems’ skid-mounted filtration and disinfection systems were selected to maintain a clean, clear and healthy water environment for residents and visitors to enjoy. 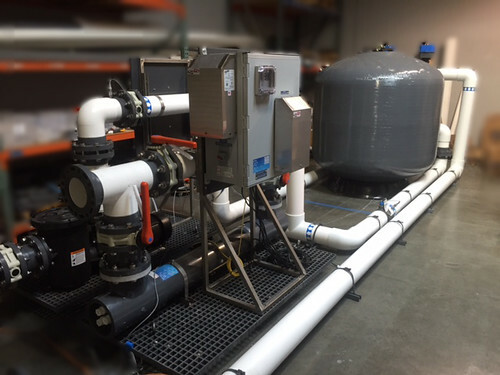 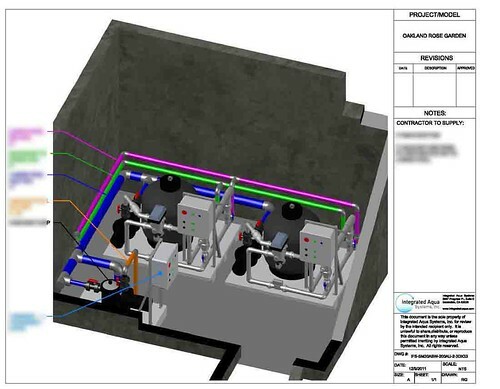 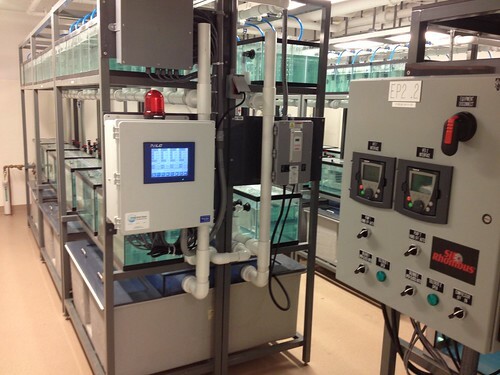 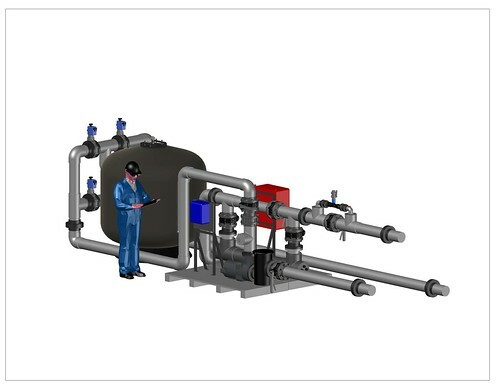 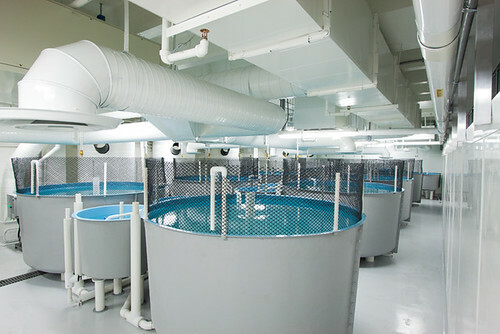 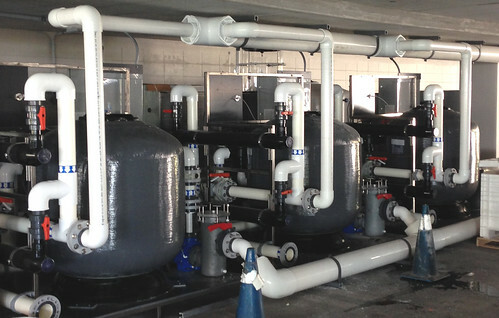 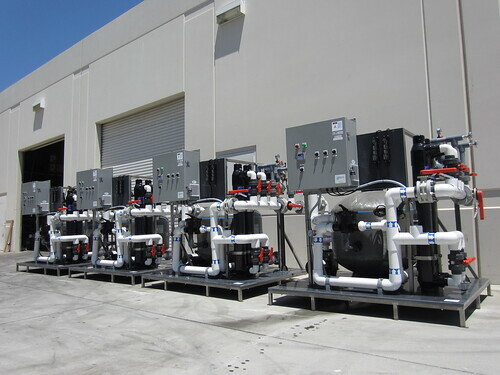 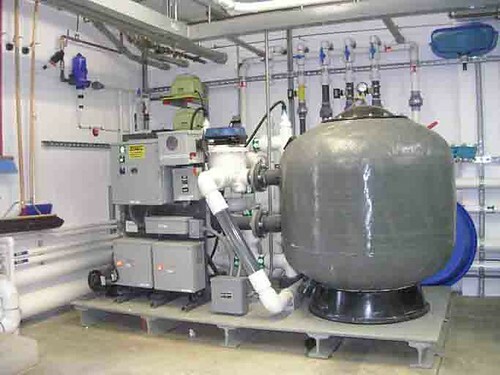 The commercial-grade Integrated™ Filtration Systems required for the project included automatic backwash controls, variable frequency drives for pumps, high intensity UV sterilizers and onboard electrical disconnect switches.